It’s been a while since my last post and it’s time to give you guys an update. October is the busiest time of the year for me. In October there are usually somewhere between 10-15 exhibitions that I need to attend or that my buyers attend. The biggest of them all is obviously the Canton Fair in Guangzhou spanning over 3 1/2 weeks and 3 phases attracting over 200,000 buyers within this time frame. For me these exhibitions are essential in finding new suppliers and products and meeting up with clients and buyers. It is also a great time to network with fellow Amazon sellers and importers. I was lucky to meet with a fellow ImportDojo member, a couple Million$ Amazon sellers (Will Tjernlund & Reed Thompson) as well as attending a meet-up organised by Junglescout’s creator Greg Mercer in Guangzhou. Beautiful day in Hong Kong, heading to the Gloabl Sources Electronics at the Asia World Expo. Making my way to the expo hall at the Asia World Expo building at the Airport. GlobalSources offers a free Airport Express train ticket to and from the city (12$ value) on each day you attend so make sure to get your free ticket at the entrance of the Airport express. Two different expos were held that day. Gifts & Home / Mobile Electronics. Notice the “Free sourcing service for buyers”? If you feel lost and need a little help with finding products drop in and ask for help. Making my way to the mobile electronics hall. All I see are smartphones and smartwatches in the first few booths. Smartwatches. Not sure these still sell well. I have first seen them in 2013 and sales has significantly decreased I reckon. My suppliers have sent updated offers for these watches every three weeks. From the highest price in 2013 of approx .49$, they now cost somewhere between 11$ – 15$. These “hooverboards” were the most seen product at any exhibition. It seemed that every supplier offered them even if they sold completely unrelated products in their booth. My advice, stay away. Many of them have issues with the batteries and lifetime after a few weeks. IP cameras & smartwatches again. Every booth had them. Remember this Kickstarter that raised over 800,000US$? This is the supplier and they offered me a price 72-80$ depending on the quantity (Kickstarter price was 85-119$). The MOQ (1000) was pretty high but they are trying to find distributors for exclusive deals. I am pretty sure that they will soon be copied by suppliers who can offer half the price. The helmet itself is pretty cool, you can listen to music, flash left/right on the helmet and a lot more all via remote control/bluetooth and an app. Built in speakers in the helmet. Remote control mounted on the bike. Remember I mentioned in April that I only saw one supplier for Virtual Reality headset and you should watch out for this category? I saw at least 10 suppliers this time and this category is getting really big. Here we go again, “Hooverboards”. Drones were still a big topic but only the professional suppliers have survived. Remember the Indiegogo crowdfunding project for levitating bluetooth speakers? This is a poor copy. Lucky to meet up with Reed Thompson & Will Tjernlund, the Multi Million Dollar FBA sellers. I had to listen to what they were up to that same night over a beer. There were all kind of “segways and hooverboards” and they even had a “little park” to try them out. I then went to the Gifts part and I found these neat Gentlemens sets. Considering to private label this item. Thoughts? A bit of walking around in Central Hong Kong. I was invited to a wedding which was pretty cool because it was hosted on one of Hong Kong’s famous Star Ferries that cruises trough Hong Kong harbour. 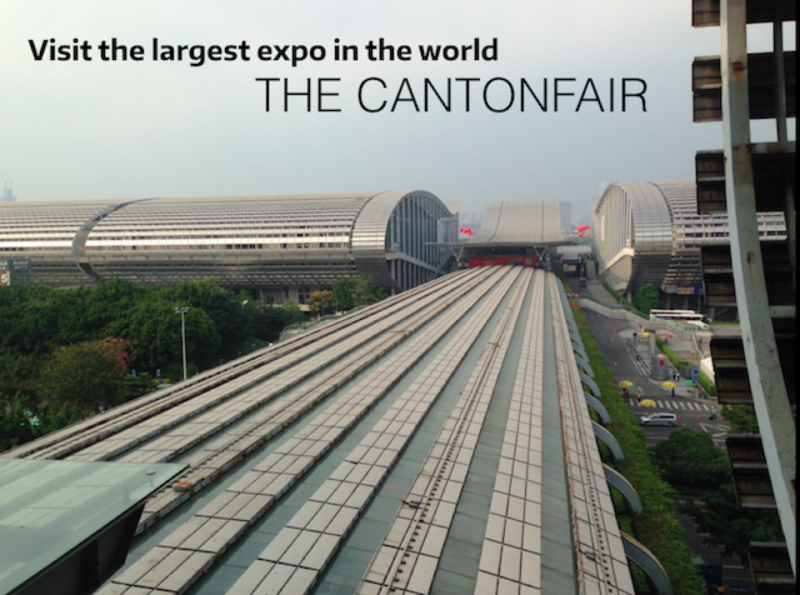 It was time to head to China for the Canton Fair Phase 2 and I booked myself into the Landmark Canton. Prices are reasonable (120$/night) but the hotel has degraded over the years. There are several ways to go the to the Canton Fair from HK, I prefer the trough train from HK to Guangzhou for around 30$. Be sure to check if your hotel has free shuttle busses from the hotel to the exhibition grounds. I didn’t use them as I was a little late and would have to wait. These buses are usually in front of the hotel and they run every 30 mins or so (free of charge). Arriving at the Canton Fair Phase 2. This phase featured several categories: Kitchen & Tableware, Gardening, Pet products, Food, Furnitures, Ceramics, Gifts & Premium, Decorative items, Toys, Personal Care, Toiletries, Household items and more. In the back of the halls the booth’s get smaller and usually host small factories BUT they often have better prices than the big name companies. Make sure to ask around for prices. Toiletries bags disguised as small suitcases as you would get them on some airlines in business class. Neat idea as a gift. Car charging pods for smartphones and tablets. Your car audio system doesn’t have Bluetooth? Never-mind, get these 12V cigarette plug bluetooth speakers. Tablet and smartphone charging station. Home automation was a big thing again and many suppliers had well working systems this time including a ready to download application. Seen these on your friends smartphone? Starting from 1.5$. Decorative items at extremely low prices. A variety of pet items at this supplier. A great category for starters. Travel cases and gift boxes with very nice designs. Christmas/Festivity lighting and Halloween products. A view at the halls. The view from hall C to hall A. Hall A was built in 2005 and there are now 3 halls with the same size. They are all full with exhibitiors. A view towards the city from the exhibition grounds. The pollution is clearly visible. I teamed up with fellow ImportDojo member Omar on the second day of the exhibition. Registering the Canton Fair badge for Omar. A pretty fast and simple process if you pre-register online. Be reminded to keep the badge. It is valid for all future Canton Fair shows. Interesting travel pillow that keeps your neck straight when you sleep. This BBQ apron had all sorts of pockets and even a beer opener included. Omar keen on trying the “hooverboard” that was again at nearly every booth here. Interesting coffee maker. Nothing new but a very nice design in copper. Another Chinese dinner in Guangzhou with fellow German Amazon sellers. I needed a day off after all the hectic weeks and decided to go for a stream hike in the jungles of Hong Kong. Can you believe this is in Hong Kong? Time to head to the Canton Fair Phase 3. This phase hosts the following products: Sports and casual wear, mens & women’s clothing, kids wear, underwear, office supplies, sports/travel and recreation products, shoes, bags, health products, home textiles and much more. Amazing Junglescout meetup in Guangzhou with fellow FBA/Amazon sellers! No matter which hall, nearly every booth had function/active wear in the trendiest designs. MOQ’s ranged from 300-3000 pieces. The sports/travel & recreation products hall was the most interesting in my point of view. There were a lot more pictures and expos that I went to but it would be too much to post here. Also feel free to join Importdojo’s Facebook group and keep updated for next year’s exhibitions and meet ups. I am organising a buying trip in 3 groups during April 2016 with a maximum of 4 people per group and if you are interested to learn more feel free to message me.